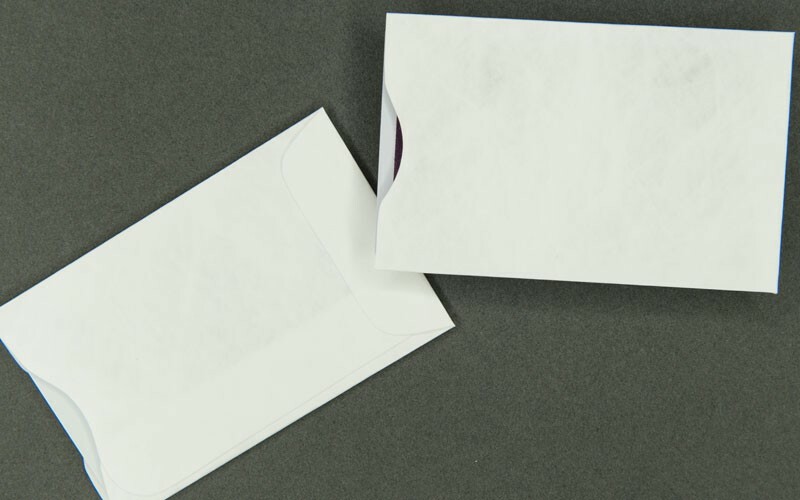 The white Tyvek® card sleeve fits 1 card and can be used for any occasion. Tyvek® is dust free and provides anti-static protection. This material will protect your card from dust, debris, is water resistant, chemical resistant and tear-proof. It measures 2.25 in x 3.5 in and includes a thumbcut for easy access to card. These sleeves are ideal for protecting cards such as: bank cards, hotel key cards, security access cards, credit cards, college ID cards and more.